Bloomington, Ind. – Today at the Leipzig Interventional Course (LINC), Cook Medical participated in significant discussion about the use of paclitaxel to treat patients suffering from PAD. Through several presentations to meeting attendees, data supported the use of paclitaxel-coated devices to help the more than 200 million1 patients globally who are fighting the disease. 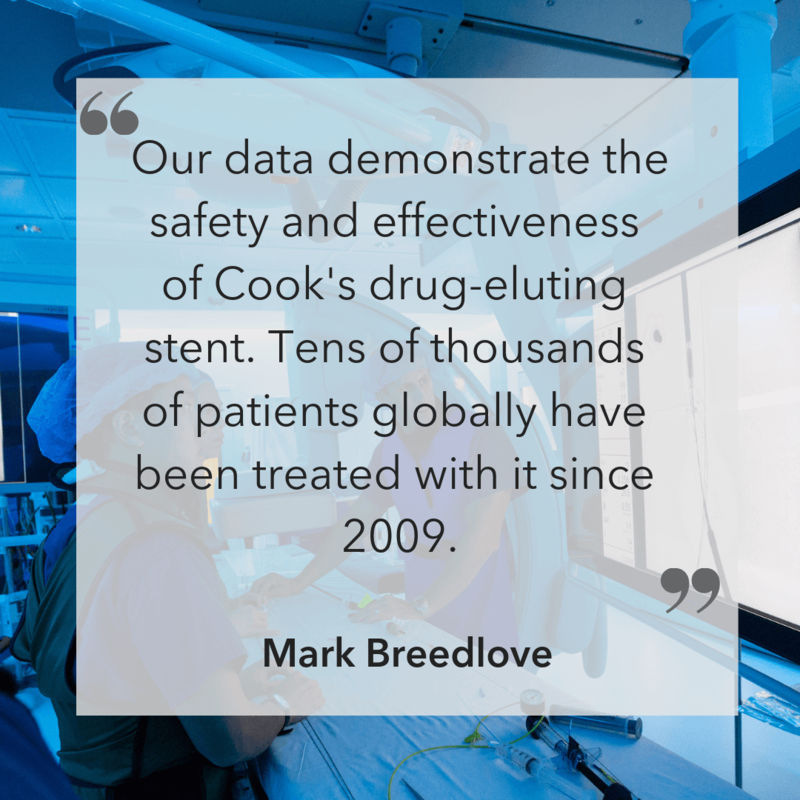 Cook data demonstrate the safety and effectiveness of the Zilver PTX Drug Eluting Stent. This includes 479 patients in a 5-year follow-up randomized controlled trial3. A recently released Japanese five-year post-market study4 on Zilver PTX showed positive long-term safety and effectiveness outcomes in challenging real-world patients. View the full scientific exchange, including Dr. Dake’s presentation, here. Caution: U.S. federal law restricts this device to sale by or on the order of a physician (or properly licensed practitioner). Use of this drug-eluting peripheral stent carries the risks associated with peripheral artery stenting, including vascular complications and/or bleeding events. Refer to the Instructions for Use (IFU) for full prescribing information including information on potential adverse events, contraindications, warnings, precautions, and summary of clinical data. Dr. Michael Dake is a paid consultant for Cook Medical. Find other recent news on Zilver PTX. 1 Shu J, Santulli G. Update on peripheral artery disease: Epidemiology and evidence-based facts. Atherosclerosis. 2018 Aug; 275: 379–381. 3 Dake MD, Ansel GM, Jaff MR, et al. Durable clinical effectiveness with paclitaxel-eluting stents in the femoropopliteal artery: 5-year results of the Zilver PTX randomized trial. Circulation. 2016;133(15):1472-1483. 4 Five-year evaluation of Zilver PTX stent in a real-world population continues to show favourable outcomes. Vascular News Web site. https://vascularnews.com/five-year-evaluation-zilver-ptx-stent/. Accessed January 20, 2019. 5 Refer to Instructions for Use (U.S. IFU) for clinical data overview (IFU0118). Since 1963, Cook Medical has worked closely with physicians to develop technologies that eliminate the need for open surgery. Today, we are combining medical devices, biologic materials and cellular therapies to help the world’s healthcare systems deliver better outcomes more efficiently. We have always remained family owned so that we have the freedom to focus on what we care about: patients, our employees, and our communities. 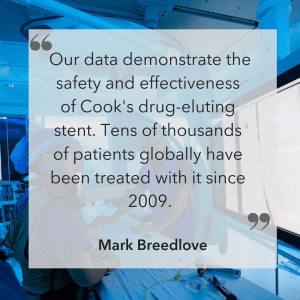 Find out more at cookmedical.com, and for the latest news, follow us on Twitter, Facebook, and LinkedIn.